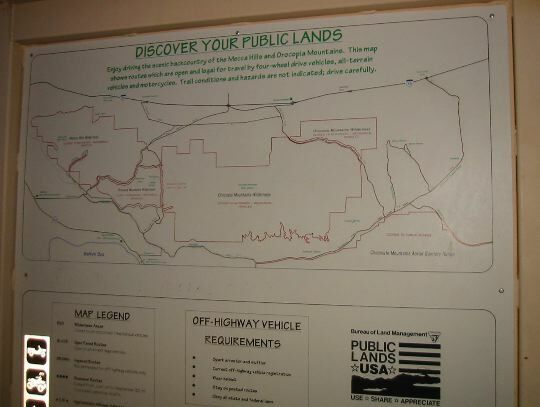 The mysterious BLM map. It doesn't relate well to any of the other maps I brought. That's highway 10 along the top, around Chiraco Summit. We went clockwise from top right, & took the road back up across the middle.